Simple Mendelian Trait Calculator – a fully customizable application for simple Mendelian traits. Later versions will more easily support co-dominance and other features. This program was developed for modeling a hypothesis for color trait inheritance in Pomacea diffusa, but can be modified to model any simple traits for any animal or hypothetical situation. Uploaded on 25/May/2007. Extract all files from the zip to the same directory and see the README.htm file for instructions. Java based, requires a Java Runtime Environment. Note: this code is very old and has not been updated as newer versions of Java have been released. Apple snail health conditions – contains detailed information on apple snail health conditions from common injuries to treatments in captivity. Color Inheritance Java application (requires a Java Runtime Environment). Note: as with the trait calculator, this code is very old and has not been updated as newer versions of Java have been released. A note to anyone seeking to buy snails: due to my past work on various Ampullariid species (which took place while they were unrestricted in the United States pet trade), I get regular e-mails asking for snails or information on obtaining them in the now rather restricted pet trade. However, I no longer own any Ampullarriid snail species. Do not ask me for information on obtaining species banned or restricted by USDA legislation! Keeping anything but Pomacea diffusa (formerly P. bridgesii) is now illegal in the United States. 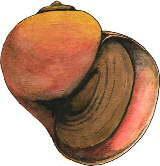 If you have any questions about finding breeders of Pomacea diffusa or the USDA’s laws on other species, go to applesnail.net‘s discussion boards.